During the McDonell opening round playoff game, we had the immense privilege of interviewing Harold Baughman, a 98-year-old veteran of World War II and Hayden Baughman's great grandfather, as part of "Mark Maloney's Military Shout-Outs." 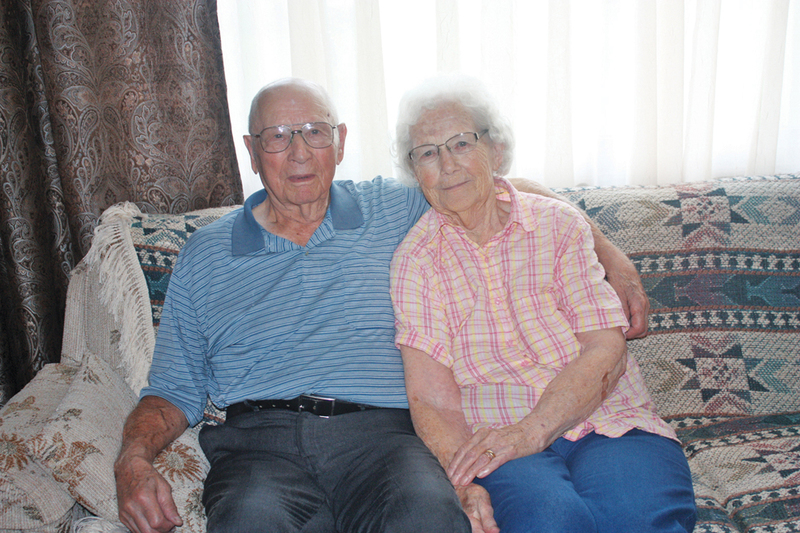 Harold and his wife Arline (pictured) also recently celebrated their 75th anniversary! While we were only able to air a portion of the interview at halftime; the following is the complete interview, conducted by Mark Maloney. What an awesome man! What an awesome woman! I could have listened to them talk for hours. Arline says she kept every letter and has them in a box at home. This is history you won't find in a book and as the days go on we are losing these great historians around the country. Take time to thank these vets and all vets along with our active service men and women. I was so honored to get to have this talk. Thank you Harold and Arline for all that you have done for our great country!